● An enterprise located in Bangkok, contact the Office of Foreign Workers Administration 2nd Floor, Department of Employment, Ministry Of Labour, Mitr-maitri Road, Din Daeng, Bangkok. ● An enterprise located inother province, contact the provincial Employment Office in the province that the enterprise located. W.P.1: APPLICATION FOR A WORK PERMIT Is for alien workers who have never applied for Work Permit before, or for those who want to reapply for the Work Permit due to its expiry. 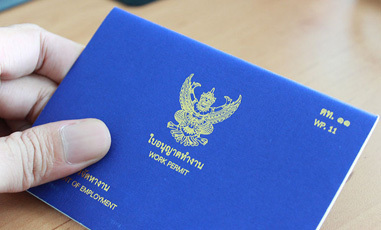 W.P.3: APPLICATION FOR A WORK PERMIT Is for the employers to apply for a Work Permit for their aliens before those workers enters the kingdom of Thailand. In case receiving the letter of approval for Work Permit, employers sends that letter to foreigner in order to apple for a Non-immigrant visa from the Royal Thai Embassy. Then the foreigner has to enter to the Kingdom in order to apple for a Work Permit with documents which specified in that letter within 30 days from the day of picking up the approval letter. W.P.4: APPLICATION FOR SUBSTITUTION OF WORK PERMIT Is for those whose Work Permit is materially damaged or lost. The Work Permit holders must apply for a substitute Permit within 15 days from the day of the knowledge of such damage or lost. W.P.5: APPLICATION FOR WORK PERMIT RENEWAL Is for the Work Permit holder whose Work Permit is goion to expire but wish to continue work as stated in the Work Permit. The applicant should extend VISA before renewing Work Permit. And Work Permit must be renewed before its expires. W.P.6: APPLICATION FOR CHANGING WORK OR LOCALITY OF WORK OR WORKPLACE Is for the Work Permit holders who wish to change or add and type work or locality of work, or workplace. W.P.10: APPLICATION FOR IMFORMING TO ENGAGE IN THE WORK WHICH IS OF NECESSITY AND URGENCY FOR THE PERIOD NOT LONGER THAN 15 DAYS Is for alien workers who enter the kingdom of Thailand to engage in the work, which is of neccessity or urgency for the period not longer than 15 days. APPLICATION FOR CHANGING DETAILS IN WORK PERMIT: APPLICATION FOR IMFORMING TO CHANGE THE DETAILS Is for alien workers change name - surname, nationality, signature, and address /or company/enterprise change any infomation according to the government declaration, and addition of type of business. PROCESSING TIME After the application completed, the process will finish within 7 working days. 2.1. Having the knowledge and/or skills to perform the work as stated in the application for a Work Permit. 2.2. Not being insane or mentally sick, suffering from Leprosy, Tuberculosis, Drug Addiction, Alcoholism, Elephantitus and third stage of Syphilis. 2.3. Never having been imprisoned for violation of the Immigration Law or the Working of Foreign Act at least one year prior to the date of application. 3.2. Work in agriculture, animal husbandry, forestry of fishery excluding specialized work in each particular branch of farm supervision. 3.3. Bricklaying, carpentry or other construction works. 3.5. Driving mechanically propelled carried or driving non-mechanically-propelled vehicle, excluding international aircraft piloting. 3.10. Haircutting, hairdressing or beauty treatment. 3.11. Cloth weaving by hand. 3.12. Weaving of mate or making products from reeds, rattan, hemp, straw or bamboo pellicle. 3.15. Making of Thai musical instruments. 3.17. Making of products from gold, silver or gold-copper alloy. 3.19. Making of Thai dools. 3.20. Making of mattress or quilt blanket. 3.22. Making of silk products by hand. 3.23. Casting of buddha images. 3.25. Making of paper of cloth umbrella. 3.28. Brokerage or agency excluding brokerage or agency in international trade business. 3.29. Engineering work in civil engineering branch concerning designing and calculation, organization, research, planning, testing, construction supervision or advising excluding specialized work. 3.30. Architectural work concerning designing, drawing of plan, estimation, construction directing or advising. 3.32. Pottery or ceramic ware making. 3.33. Cigrarette making by hand. 3.34. Guide or conduction sightseeing tours. 3.36. Type-setting of Thai characters by hand. 3.37. Drawing and twisting silk-thread by hand. 3.38. Office or secretarial work. 3.39. Legal or lawsuit services. ● The national security of the country in views of politic, religion, economy, and society. ● The occupational opportunity of Thais and the demand of foreign workers as necessary for the country development. ● The benefits from granting work permission in particular occupations to foreigners, such as large amount of foreign currencies brought by foreign investors for investment and spend in Thailand, employment opportunitie for a number of Thais, and skill enhancement of Thais which acquired from technology transferring by foreigners. 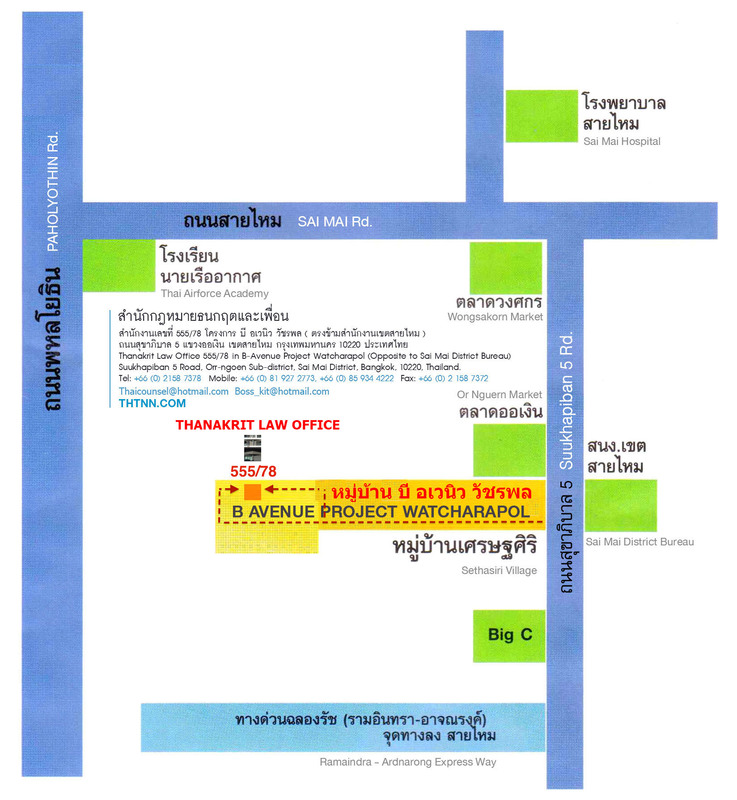 ● Alien workers who can use technology which Thai nationals cannot perform or where there is a shortage of Thai worker. However, there shall be a technology transfer to at least 2 Thai nationals with the time limit. ● Alien workers who possess expertise to accomplish the work in a limited timeframe project. ● Alien workers who work in entertainment business with a temporary contract. ● Paying tax revenue at least 3 million Baht in previous year. ● Performing tourism business which brought at least 5,000 foreign tourists into Thailand in pervious year. Remark the minimum salary requirements prescribed by the Immigration Rule shall be included in consideration. 2. An authorized official may grant a work period according to the necessity of work, but for not later than 2 year.